With the rapid development of highway construction, China has become the country where the total mileage of cement concrete pavement is the first in the world, and the maintenance and maintenance task of cement concrete pavement is becoming more and more heavy. The first process of maintenance and maintenance is to cut and break the damaged pavement, which provides an unprecedented opportunity for the development of high pressure water jet crushing technology and creates a broad platform. The technology has the advantage that the traditional pneumatic pick breaking method can not be compared. It has strong applicability and greater feasibility. It should make the technology be popularized and applied better and faster. 1. repair speed is fast. The high pressure water jet crushing technology takes ordinary tap water as the working medium. As the nozzle of the high pressure water jet crusher does not contact the cement concrete pavement directly, it will not cause the damage of the mechanical friction, and will not lose the working time because of the replacement of the mechanical parts, and the nozzle can work in many angles. The work efficiency has been greatly improved, and the pavement can be put into use as soon as possible after rapid repair. 2. the construction is safe and reliable. The construction personnel use computer control equipment in a long distance, the whole process of breakage is carried out in the state of program automation, and the construction is safer and more reliable, especially for bad environment. 3. the pollution of the environment is small. There is no dust pollution in the construction process of high pressure water jet, and the noise is small. After the construction, the concrete waste and waste water can be absorbed by vacuum industrial vacuum cleaner, and the working surface is clean and tidy, which conforms to the requirements of "building resources saving and environmental friendly society" advocated by our country. 4. the scope of the operation is accurate. The nozzle aperture of the high pressure water jet crusher is small. By setting the pressure value of the ultra high pressure water jet and the amount of water, it can accurately locate the broken range and depth, make the incision on the concrete surface small and neat, to a certain extent, reduce the number of broken waste and raise the utilization rate of the old pavement. 5. the original structure is not damaged. The local damage area of high pressure water jet breakage has two major features: one is no vibration in the operation process, no cracks in the surrounding concrete structure and the risk of reducing the two damage; two is the large density and small gap in the damaged area, and the high pressure water jet is difficult to drill into the steel bar. The fracture also achieved the effect of rust removal. Therefore, the damage to the original structure is almost zero. 6. the bonding force is strong. 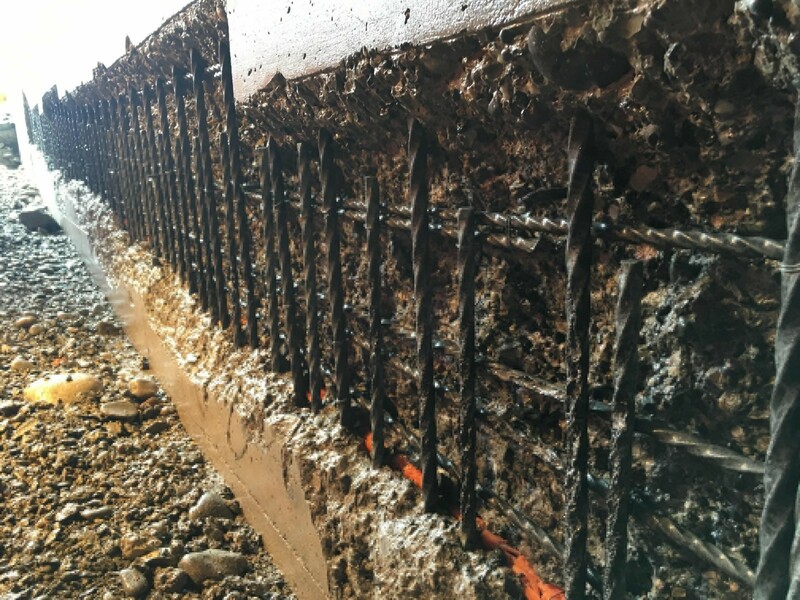 The broken concrete interface is rigid and unevenly neatly, the original structure has greater contact area with the new concrete and stronger cohesive force. The new cement concrete can be built directly without the need of treatment, which provides favorable conditions for the integrated construction of highway. 7. the cost of construction is high. At present, the equipment of high pressure water jet breaking technology has not been domestically made, and the key components still need to be imported from abroad. Therefore, the cost of construction is high, whether it is the purchase or the lease.